On May 28th Richie and I read out of Until Today. 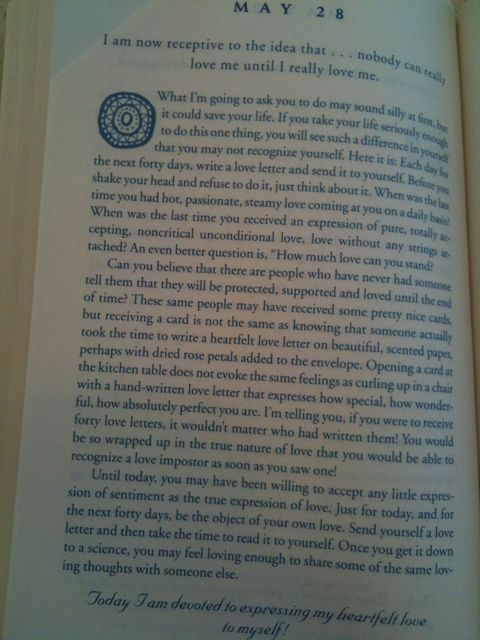 The page (attached) suggested writing love letters. Today, several of us are doing this regularly. If you want to love yourself (and others) more, read the page and give it a try. Then comment about your experience writing love letters below. Thanks and enjoy the process (I sure do)! This entry was posted in 12 Step Stuff. Bookmark the permalink.